In the smartphone kingdom, South Korea lays claim to two of the most notable makers in the industry. It’s a one-sided affair to tell you the truth, as Samsung has continually been the premier manufacturer out of the country. Conversely, there’s LG, who has been trailing its competitor for as long as we can remember. Don’t get us wrong, Samsung has clearly earned its spot in the business, but LG also deserves some credit for being innovative in its own way. Last year, there was no denying that Samsung brought its game to a new level – delivering a significantly improved smartphone design. 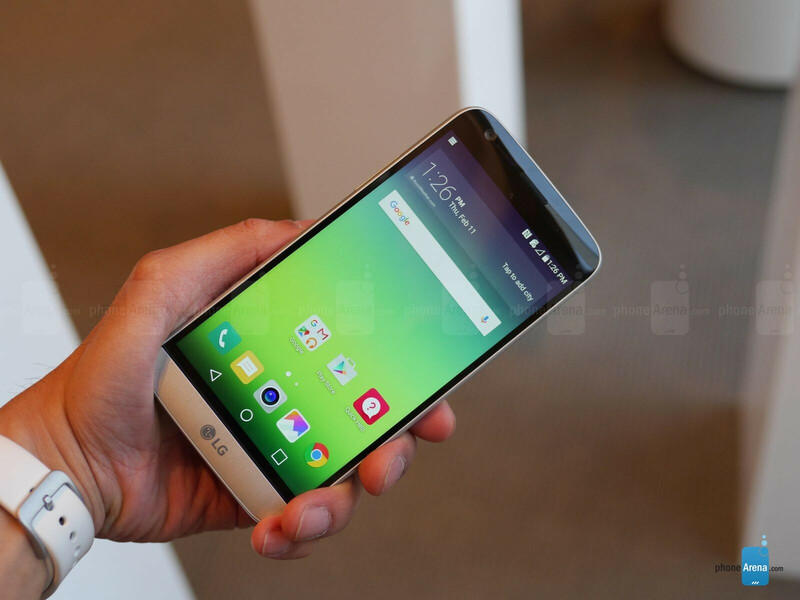 LG, however, also made sure to considerably innovate its own flagship line with the LG G4. 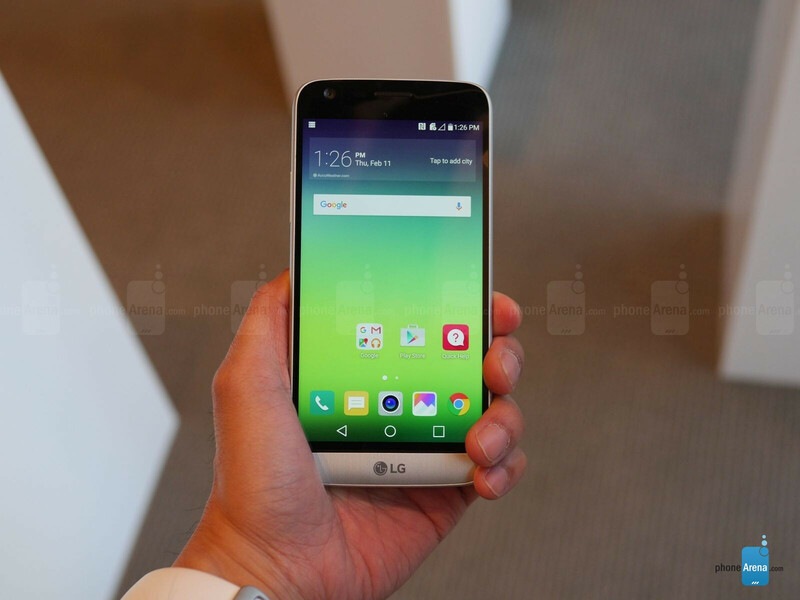 Never the one to let the competition surpass it, LG is now bringing its A-game to MWC 2016 with its next flagship smartphone in the aptly named LG G5. Establishing a particular design DNA, LG’s renowned G-series is surprisingly taking a radical shift from the norm. Hardened fans of the series might be shocked by the G5’s sudden and dramatic change, but only time will tell whether or not LG’s choices are for the best. Let’s find out what’s up! Adios plastic! Say goodbye to the iconic rear volume controls configuration of phones past! 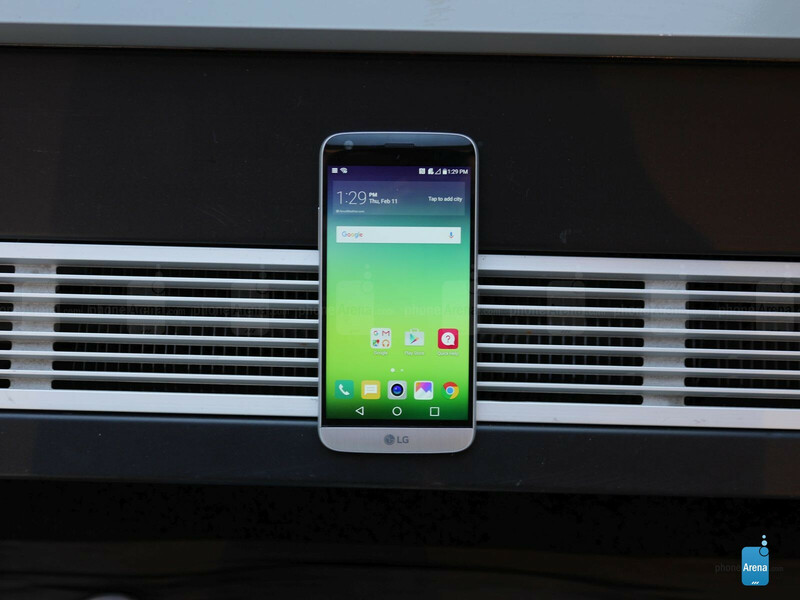 The LG G5 is without a doubt a totally redesigned phone from the ground up, which many folks will find to be a vast departure from what LG has built with the series. Gone are the plastic and leather finishes of the G4 before it, replaced by a ‘modular’ metal design with rounded edges and a ‘flatter’ look than the arched casings of its predecessors. The stark change is absolutely apparent as we hold the metal-designed phone in our hand. It’s clean and minimalist all the same time, but there are subtle protrusions around the camera housing – as well as the power button in the rear, which incorporates the fingerprint sensor too. While the power button is in a familiar position, the volume controls have been relocated to the left side of the phone. When we asked about this decision, LG says that the choice was made due to “customer requests.” Hey, we’re not arguing because it’s accessible, especially when the phone is placed in some sort of cradle – like a car dock or something similar. And obviously, we appreciate the switch to a metal frame, which gives the G5 a higher level of sturdiness that we haven’t seen in LG’s portfolio. One of the more peculiar parts about the G5 is its ‘modular’ design. Well, the leaks were correct because LG is able to engineer the G5 so that it still features a removable battery and microSD card slot. There’s actually a flush button on the bottom-left corner of the phone, which allows us to slide off the bottom compartment – the one housing a 2800 mAh battery cell and the microSD slot alongside it. We’re actually intrigued by this kind of implementation, mainly because the rest of the phone feels hollow without the battery compartment attached. Now, you might say that battery cell might seem undersized for a phone of this caliber, but the modular design of the LG G5 allows other “friends” to be attached to it. These so-called “LG G5 friends” are essentially these various accessory attachments that extend the phone’s functionality. For example, there’s a camera grip attachment that provides relevant controls and additional battery life because it houses its own one. Another accessory, an audio DAC attachment, fits in the compartment to deliver a more immersive audio experience to the phone. Since the series’ genesis, LG has kept to the same recipe with its design. While many of those established design choices have gone away, the new metal and modular design of the G5 is an original one that’s favorable. As we look farther down the road, it’ll be interesting to see how this new modular design concept expands with the handset’s various accessories. Hey, at least LG has opted to keep the IR blaster intact as well. LG has always been a trailblazer when it comes to display technology, being the first on the market to commercially have a Quad-HD screen with the LG G4. For the G5, though, there’s no surprise that Quad-HD resolution is once again what’s on tap – albeit, it’s now fashioned into a 5.3-inch display. Much like most phones nowadays with this resolution, its screen is sharp and highly detailed, but there’s something apparently different looking at it. Going with an IPS-LCD display once again, it appears to look more like an AMOLED screen of some sort due to its sheer over-saturated colors, wide viewing angles, and that perfect black color reproduction that AMOLEDs are notable for producing. The latter is especially important, mainly because LG saw the benefit of the V10’s secondary, ‘always-on’ screen. Rather than being a totally separate thing, LG incorporates the ‘always-on’ aspect due to how the new panel mimics the black tones that AMOLEDs commonly produce. To tell you the truth, this new screen reminds us of the one used by the Alcatel Onetouch Idol 3, as it achieves the same level of iridescence as AMOLED panels. Specs aside, the new display look especially exquisite to the eyes. We also like how it seamlessly blends with the phone’s new design, just by how the glass over the screen slopes around the sides of the phone – giving it a consistent, cohesive finish. Whereas its competition continues to explore with curved screens, LG’s approach is obviously on a different track, but at least it comes off visually pleasing to the eyes. LG’s custom Android skin on its flagships have always followed closely behind to Samsung’s TouchWiz. It’s good, but there’s never been a time when its experience was able to overcome what Samsung has with its flagships. For the G5, however, it seems like it maintains the same course as its previous efforts on the surface, but as we inspect closer, we notice something is amiss. First and foremost, it’s running on top of Android 6.0.1 Marshmallow and utilizes the same visuals of its previous skins. The homescreen, in fact, looks unchanged from a cursory look, seeing that icons have that familiar squarish shape to them. Who knows why, but LG has totally eliminated the apps drawer, choosing instead to follow an iOS-esque approach by just having everything placed on the homescreen. Depending on your taste, you might like this kind of implementation, but to us, it just makes for a slightly jumbled organization – like how widgets mesh with the grid layout of the apps icons. Sure, we can create folders to organized the homescreen better, but that still requires constant monitoring. At the very least, there’s an option to rearrange icons alphabetically. Another change that irks us more is the decision to ‘simplify’ the experience by deliberately eliminating side-by-side apps multi-tasking. What we’ve always known to be the ‘dual window’ feature, it’s nowhere in sight with the new LG skin. That in itself is quite a shocking revelation, something that we’re a bit disappointed about because there’s now a divide in what device consumers should choose in LG’s portfolio. Yes, the QSlide apps are still available here, but the lack of side-by-side apps multi-tasking lessens its value on the productivity. To us, it leads us to believe that LG’s V-series is going to be the ‘pro’ level devices – while its flagship line in the G-series will become streamlined with its experience. There’s no secret about what’s under the hood here, as previous leaks have all indicated the latest chipset from Qualcomm. 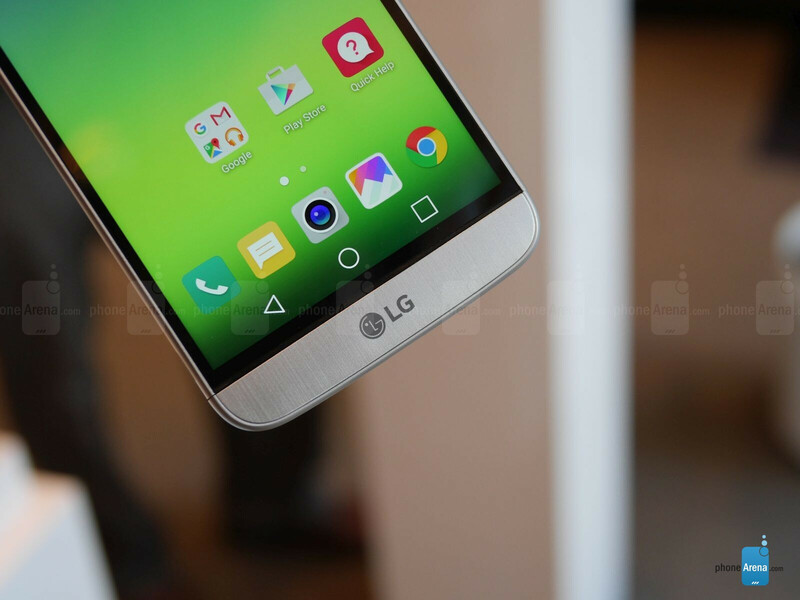 And to no one’s surprise, that’s the case here with the LG G5, as it’s endowed with a Qualcomm Snapdragon 820 SoC, which boasts four custom 64-bit CPU cores, an in-house made Adreno 530 GPU, and 4GB of LPDDR4 RAM. Not surprisingly, the phone runs exceptionally fast in our quick look-through. Apps open instantly, there’s a tight feel moving around the UI, and there’s no major instance of sluggishness in our experience. All of this, of course, is expected considering all the work Qualcomm has done on its end to develop and refine its latest and greatest chipset. LG harnesses the power of the new Snapdragon 820 mainly for the purpose of being able to handle the intricacies that augmented and virtual reality have presented to us in the last year or so. 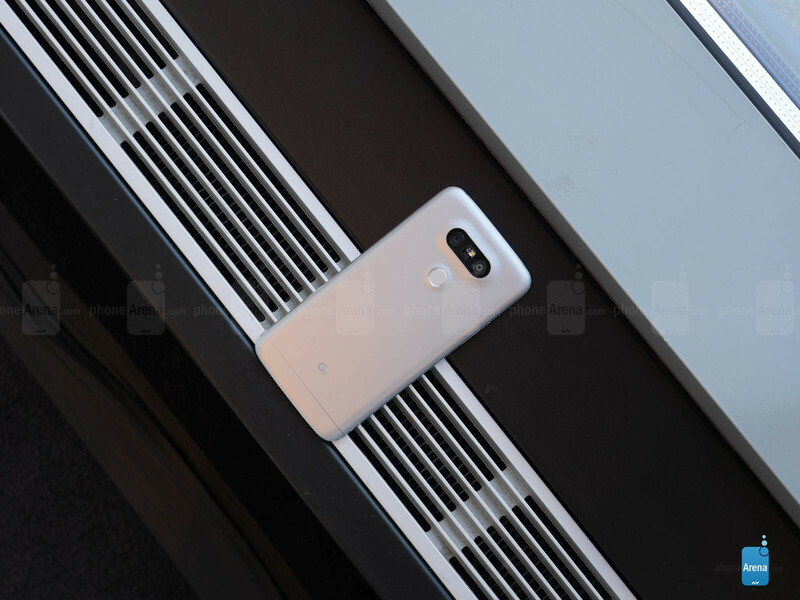 Another one of the LG G5’s new ‘friends’ include a new VR headset that connects to the phone via its new USB Type-C port, so it’s essential that the G5 is equipped with a chip that can handle all that VR presents. 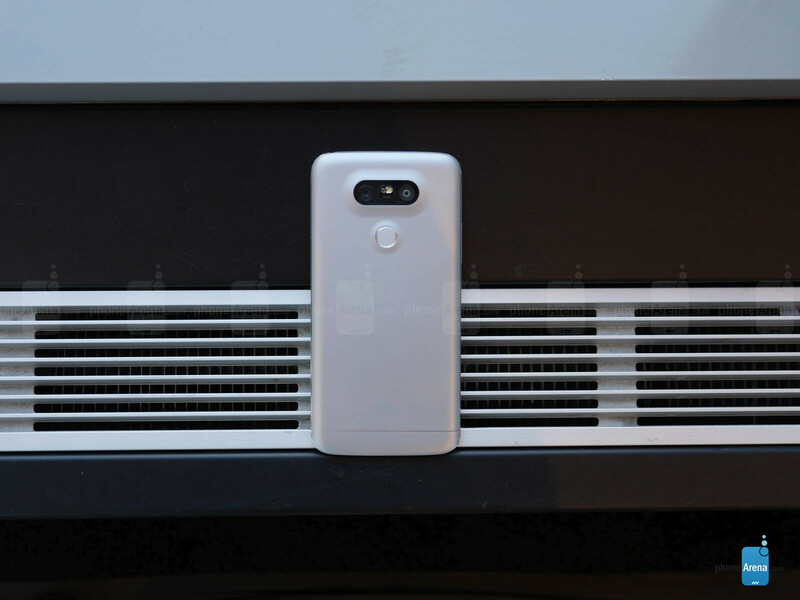 As we’ve noted already, the LG G5 features expandable storage via the microSD card slot that it continues to offer. That’s one aspect that we applaud LG for doing, seeing that many rival phones have opted to switch to a totally internal format with storage. The slot, in fact, supplements the phone’s generous 32GB capacity. 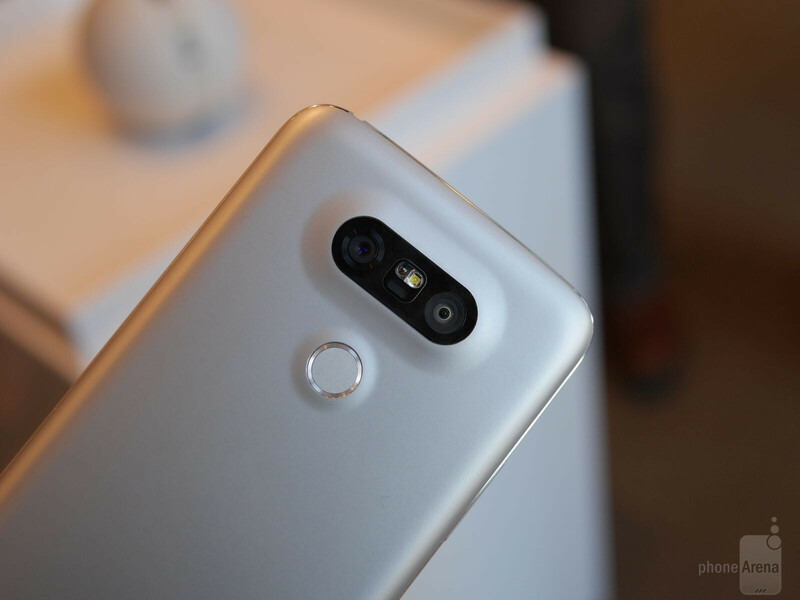 Adopting yet another feature that first came to light with the LG V10, the G5 follows in a similar manner by offering a dual camera setup. No, we’re not talking about the front-facing cameras, but rather, the main rear cameras of the phone, which consist of a 16MP and 8MP rear cam setup. At first thought, most folks will associate dual-cameras for the purpose of post-bokeh effects (think HTC M8). That’s not the case here with the G5, since the dual camera configuration is here to offer a ‘wider’ capture. 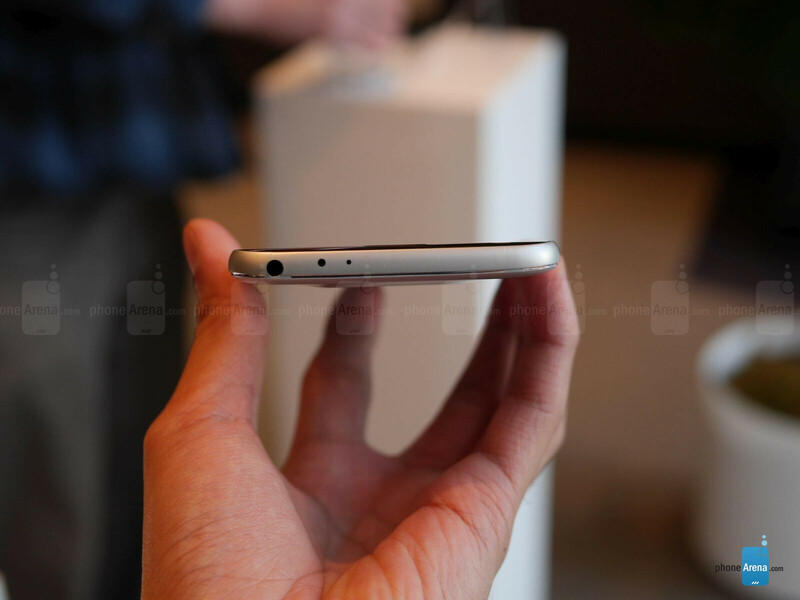 Just like with the V10’s front-facing camera setup, the second camera is there to allow for a wider capture. Harnessing the two cameras here with the G5, we can instantly see that it has a wider, almost panoramic-like look with its capture. It definitely has its purpose, but it’ll be intriguing to see if does anything meaningful to the photo’s actual quality. As for the front-facing camera here, it’s only a single 8MP one. The LG G4 established itself as being one of the ultimate smartphones for shooting photos, continually finishing as a top performer in several comparisons. And while we’re exposed to the same interface as before, one that’s above and beyond most others when it comes to manual controls, it’s strangely absent over on the video stuff. After the commotion it struck with the V10’s superb video manual controls, we thought that would translate over to the G5 – albeit, that’s not the case at all here. Needless to say, the lack of full manual controls for video recording is leading to the obvious fact that there’s a stark divide between LG’s G and V-series of smartphones. All in fairness, we’re inclined to believe that the G5 will excel over on the still-imaging front, which its predecessors have done so exquisitely in the past, but we’re bummed at the same time about the lack of attention to the video side of things. One step forward, one step back. 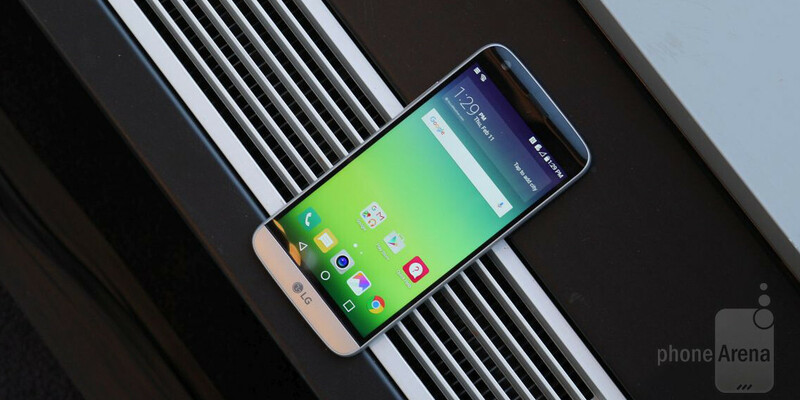 That’s the kind of feeling we’re having after checking out the LG G5. No doubt, the new design is something we commend LG for doing, which now exudes a premium feel over past incarnations – and it’s by far the most radically designed successor we’ve seen out of MWC 2016 thus far. 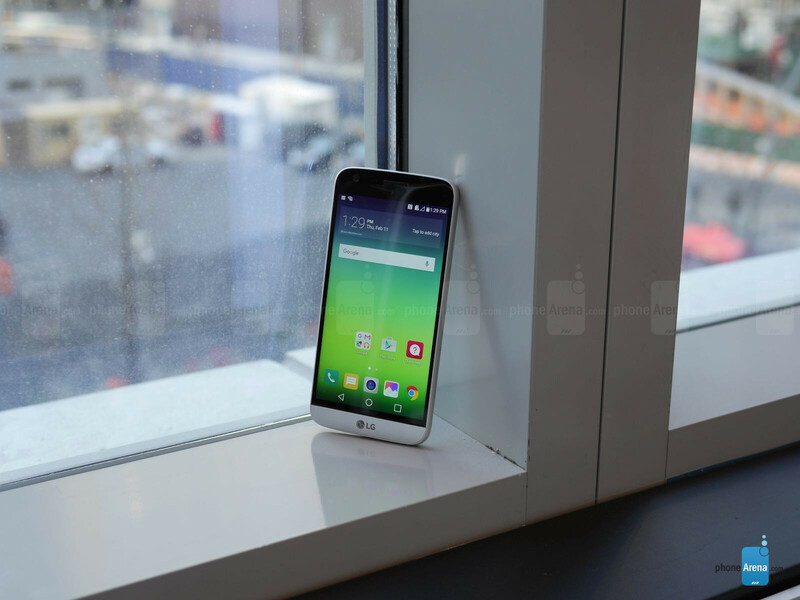 Everyone is going all-premium with their flagships, and the LG G5 is no exception. It’s an original design that doesn’t look like anything else before it, so that’s something that deserves commendation. However, after we look over the new design, the more we feel as though they’ve stripped away from the phone. The new custom Android skin is evidence enough, as it’s been ‘dumbed down’ in our opinion. Visually, it follows after what we’ve known, but the elimination of the apps drawer and dual window feature is a thorn on our side – it just can’t compete against the productive-centric experiences of its rivals anymore. 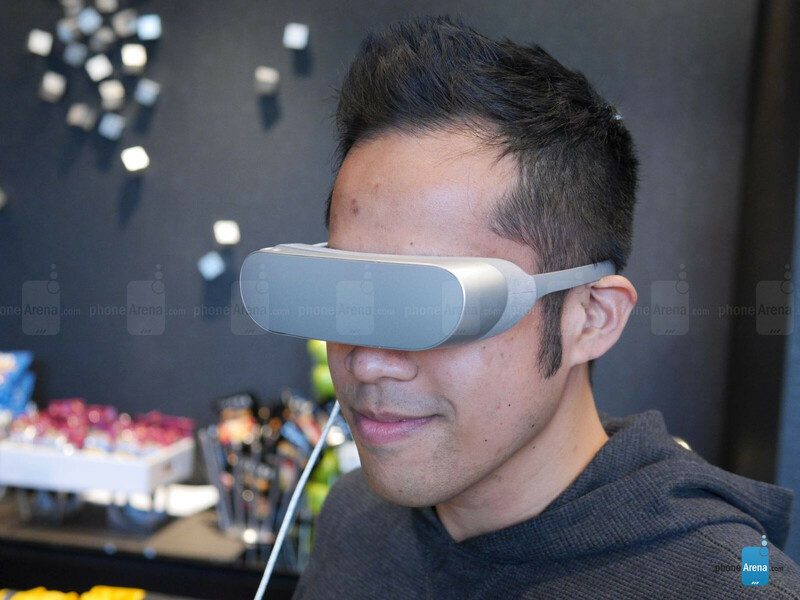 From a Sphero-like orb not that can be controlled remotely through the G5, to the sleeker VR headset, and the various attachments for the phone itself, the G5 is attempting to infiltrate a wider space than just what we typically think of. Ugliest G-Series phone ever . I wouldn't call it ugly, but I wish people would stop associating metal with beauty. The associate metal more with quality and price than immediate beauty. From a certain perspective that makes sense. Whether you're talking about accessories, appliances, electronics or cars the more expensive something is the less likely you are to run into plastic. Why can't LG build a true successor to the G2? Exactly, just give us a modernised G2, concentrate on the core aspects and a decent screen to body ratio. I like some of the wild ideas LG bring, but I think it's better to keep them to specialist devices like the G-Flex and the V10. 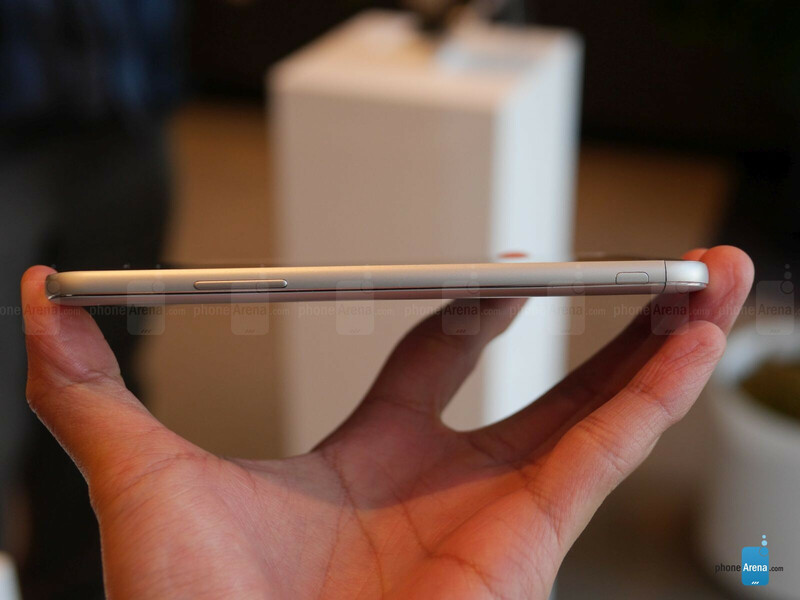 In fact, it's 5.3 inches screen. They wrote it wrong in this article. G4 was much better IMO. This is a downgrade in hardware and in software. The only downgrade is the screen size. "This is htc year" Lmfaol irl!! "albeit, it’s now fashioned into a slightly larger 5.6-inch display" Isnt it actually a smaller 5.3" display? Thats a really ugly phone. Come on guys.. Give some credit to front look. Meanwhile, i agreed it,s not a something makes you "wow". But let,s see the interesting removable battery sliding concept. Dual camera is cool. But yes back design is ruin everything. When we are amazed front sides, at the same time we are going down when look at the back sides. Thats in my opinion. I was waiting for LG G5 or S7....and I already removed G5 from this waiting list. sadly. So let's be honest here, this is what I think about the G5 based on this article... I'm a long time G2 user and has been very happy with the G2. However, I am looking for a real successor that can replace my phone. 1. The design is meh at best. Maybe not necessarily ugly, but not a good design by any means. 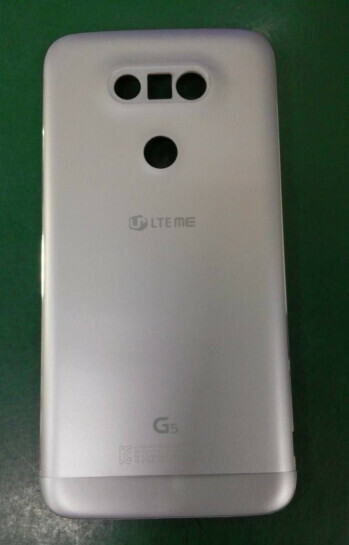 The previous 4 phones from the G line has a better design than this. 2. The top bezels! That is huge man... For LG's standard. They're going backwards in this term 3. 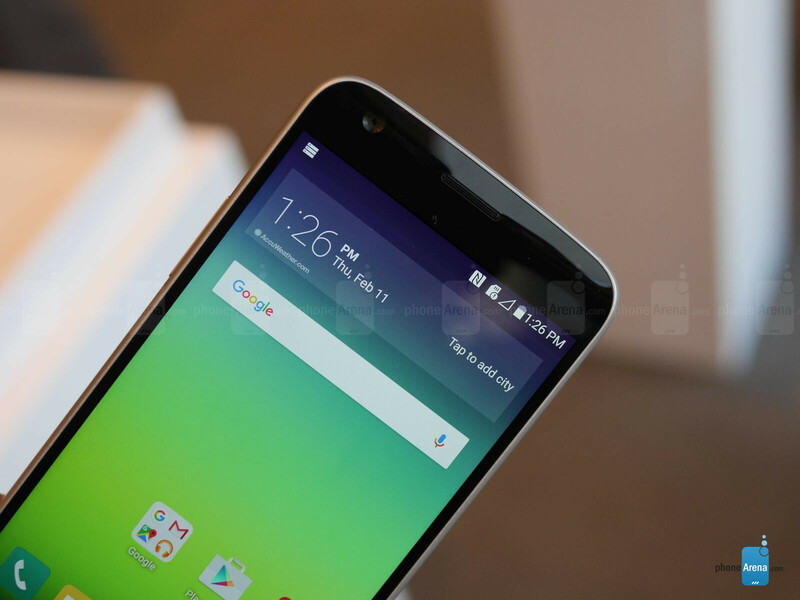 The UI, judging from what I see is better than previous UI on previous LG flagships by look. But the removal of the dual window and app drawer is a stupid decision. The UI is mostly a downgrade instead of an upgrade in case. 4. The Modular slot is a way to go, but is a bit too gimmicky for most consumers. 5. The dual camera is a good addition but if there are no improvements at all on the main camera, they went the wrong direction. Whatever they add, they must improve the main camera. 6. It's good that they chose 5.3" instead of 5.6" but I hope it can rival AMOLEDs in terms of quality like the G2's screen did to the S4's screen. 6. The fingerprint scanner is a good addition. 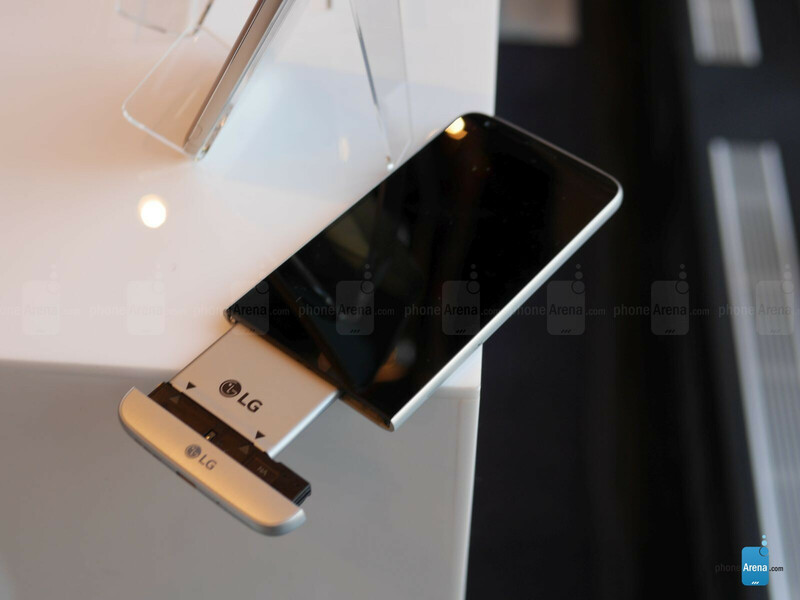 I have been waiting for LG to add it on their flagship since the G3. 7. Specs wise, can't complain... So what is my overall thoughts on this? I don't want to speak too soon on this, I would first look at the S7, then look at the full review on this. The display, cameras, battery life, speed, UI must be tested first. Then I would make a conclusion. However, would I say this as the 'true successor' to the G2? No, not at all.